If you are already familiar with Sunshine, when you reflect back on it you might think “It was good up until that god-awful ending.” Well, you are not alone. If you have yet to watch this film I encourage you to put this piece away for now until you get to watch it for the first time (it’s worth the spoiler free journey). Sunshine chronicles the Icarus II and its crew’s mission to reignite a dying sun (which, by the way, is a plausible premise) with an enormous stellar bomb strapped to the front of the ship. After crossing Mercury, they happen upon the Icarus I- the lost ship from Earth’s initial attempt to save the fading star. Should they continue their present course knowing their bomb might not succeed, or divert to man the second ship’s bomb and get two chances? After great deliberation and personal clashes, the crew gambles and sets their sights on Icarus I. This decision leads to unforeseeable consequences which threaten to compromise the entire mission — It’s a nail-biter and does a fantastic job of immersing the viewer into the crew’s fears and conflicting ideals. The turning point, however, is when the captain of the Icarus I boards the Icarus II. Prolonged isolation and exposure to the sun has left him, Pinbacker, skinless and insane. Now he is convinced he must kill each remaining member of the Icarus II so the human race is left to dust. Although this sequence is a radical departure in tone and style from the previous two thirds of the film, I can’t believe that fans of the genre have ridiculed this movie and so many can overlook Sunshine’s greatness within the sum of its parts. While I will concede that this film perhaps failed to transcend the genre, I think that it is downright ludicrous that it isn’t even respected by the sci-fi community. The following breakdown highlights reasons why I believe Sunshine is a misunderstood masterpiece and why it should be given a well-deserved spot among classic sci-fi. Can you remember the noise a Star Wars blaster makes? Of course you can! Now, try to remember what a laser gun sounds like in the new Star Trek series. Any at all. Could you do it? Probably not. Or, if you did, you probably just imagined a general Star Wars–sounding one. Well, you wouldn’t be entirely wrong. Star Wars is so memorable in part because of its very distinct sound effects. Visuals frame a fictional world, but audio is what truly cements it. This is why good sound design can make for an effective scene, but great sound design creates a universe that sticks with an audience after the fact- hence why Star Wars outclasses much of its genre competition. This is critical to mention because in spite of being a more dialogue-driven movie, Sunshine has unbelievable sound production. Whether it is the sun burning, the ship’s engine, or the ambiance of the ship’s interior, I felt like I was there. I also haven’t seen this in over two years and I can still remember the sound of the ship’s radio transmitter like I saw it yesterday — THAT is great sound design. Further along the auditory front, Sunshine has to have one of the most underrated soundtracks in the last 20 years of film. John Murphy’s Adagio in D Minor is an amazing song that has been used in a ton of subsequent movie trailers and commercials. The rest of the soundtrack sports remarkable contributions from Underworld and tense ambient melodies that would make Trent Reznor proud. Not only does Sunshine provide a wealth of memorable sounds to the viewer, but it also succeeds visually. From a pure technical standpoint, Sunshine is second only to Gravity as the most impressive space film of the 21st Century. Where Gravity revels in flowing cinematography with unparalleled immersion, Sunshine shows a masterful command of taking familiar visual language and bending it in a unique way. The introduction (which has one of the most clever transitions ever) roped me in because it was such great pure cinema. It features a slow, dramatic pan into the sun as Cillian Murphy sets the stage. As the sun keeps growing, it passes us and we realize that we have actually been watching the refractory shield of the Icarus II the whole time. Further, the palette in this film is very effective because of its contrasts. The evocative bright yellow sun shots are massive and often juxtaposed with a dark and claustrophobic ship interior. And let’s not forget about the incredible costume design…Have you ever seen a cooler, more unique spacesuit? These characters are some of humanity’s finest scientists, but they are in a situation that requires more than just science and reasoning- they must face a broader spectrum of pure reason and humanism. While it would seem that logic should always win out in problem solving and advanced space travel, Garland cleverly blurs the line by tying in philosophical quandaries and punishing “right” logical decisions with human error, therefore undermining the crew’s unerring rationalization with imperfect human flaws. And all the while, every person on board must contend with system malfunctions and are in danger of being burnt alive, frozen, lost in space, running out of oxygen, or even being murdered. Yikes. Like all great sci-fi, Sunshine is really just a metaphor to discuss a bigger idea about humanity. As such, this movie is less about the space travel and more about faith vs. science. Where every decision hits tension between logic and emotion, each character falls somewhere on a spectrum between spiritual fanatic and atheist. Early on, Searle, the ship’s psychologist, is seen spending prolonged sessions on the observatory deck gazing at the sun. Why? It is daunting, yet it evokes an unparalleled sense of awe. The crew roll their eyes at him for this, but this practice brings him great peace. This is quite a contrast to other major characters who purport to be fine, but are all suffering from major anxiety or even mental instability from the journey. Cassie and Capa, the ship’s pilot and physicist, are calm on the surface, but experience traumatic nightmares about falling into the sun. Mace, the most logical and principled member of the crew, has multiple psychological breakdowns, attacking Capa whenever he feels slighted. Harvey gets scared enough to try and save himself at the expense of the crew. Trey has the least amount of screen time, but after one major miscalculation, he is put on sedatives because everyone sees him as a suicide risk, so there is no question that he was broken by the mission. On the other hand, not all the members fall into this mold. Commander Kaneda is intrigued by Searle’s observatory visits and gazes at the sun. Kaneda is shown to be a stoic, pragmatic individual, but is never daunted by the weight of the scenario or the pathological fear of the sun- even going as far as sacrificing himself so Capa can escape, leaving him to be consumed by the sun’s flare. Corazon is interesting since she’s a logical individual, but her love for plants seems to be her religion, after all, she seems more devastated by the garden’s destruction than some members dying. These characters all represent different ideologies and are motivated by differing degrees of spirituality and logic. Searle, Kaneda, and Corazon all represent characters of faith. Searle is awed by it, Kaneda is inspired by it, and Corazon worships the life she can spread. They all happen to die surrounding their faith too. Kaneda faces the sun, knowing he is dying for what he believes in. Searle sacrifices himself to save three other crew members and sits in the unprotected observation deck of the Icarus I knowing it will burn him up the second Icarus II departs. Corazon dies after finding a plant beginning to grow from a pile of rubble outside where the garden used to be. Mace, Trey, and Harvey are all represent atheists. Mace is the most competent crew member, but holds grudges and throws anyone under the bus if it compromises the mission. Trey lives and dies by his calculations. Harvey is a self-serving man whose temperament is only ever a hindrance to the crew. Mace dies freezing to death to repair the Icarus II’s coolant, without which the ship would have burnt up. Trey kills himself out of guilt and despair, though it did aid the crew. Harvey is simply unlucky because he is forced to go through space without a suit to get back to the Icarus II and misses docking bay, leaving him to freeze in dead space. This isn’t to say that the religious members were more virtuous compared to the others, but rather that all their motivations were different. Mace, while flawed, provides invaluable leadership and makes a noble, selfless sacrifice. Trey lost the will to live after his mistake cost Kaneda his life… was his suicide beneficial to the mission or could he have helped them in new ways? Harvey’s death was bleak, but he cared about his own self-preservation over saving mankind, so all he seemed to believe in was prestige. Then we have Cassie and Capa. They are the only members of the Icarus II to reach the sun and they might best be classified as moderates. Cassie makes calculated decisions as the pilot, but views morality as more important than logic. When Mace demands a vote on whether or not to kill Trey, she is the only dissenter. Cassie: I know the argument. I know the logic. You’re saying you need my vote. I’m saying you can’t have it. Capa is an interesting contrast because he is the only character who really has any kind of an arc. He is shown to be motivated by unflinching reason throughout the film but at the very end, his instincts seem to have changed. Capa has recurring nightmares of falling into the sun and though he does not spend significant time at the observatory, he goes into space on multiple occasions, getting closer to the sun each time. Once he succeeds in detonating the payload, however, instead of being eviscerated, the fiery, sun-like explosion freezes in midair and Capa stops cowering for his life. He smiles and embraces the light having found a sense of greater peace. Pinbacker: Not your God. Mine. While I am a huge fan of this film, I agree that the third act twist is misguided at best. This might be a case where the studio should have intervened for a rewrite or at least edited parts out. Still, the use of Pinbacker as a character ties in to the development of the faith vs science discussion. Here, Pinbacker represents the fanatical part of the religious spectrum and it is the catalyst for what I believe to be a strong ending. An interesting fan theory (alright, I made this up) gives a bit more weight to Pinbacker’s appearance in the third act: Imagine that there is no Pinbacker and Cappa has gone crazy. Let’s posit that Cappa has become unstable from the psychological strain of the mission, the constant nightmares, almost getting immolated by the sun, and the rising carbon dioxide levels are making him obsessed with the objective to the point of madness. Mace had unstable moments even before the air shortage and we saw what happened to Pinbacker based on his log on the Icarus I. Suddenly, the uncharacteristic plot shift and change in visual language makes sense because it is from Cappa’s perspective. It has gone from a sci-fi ensemble narrative to an unreliable narrator’s momentary descent into insanity. Cappa: What are you asking? That we weigh the life of one against the future of mankind? Kill him. So how does this explain how Cappa was locked in the docking chamber while this all went down? Easy. Cappa was fine letting Mace kill Trey, but Cappa is not a violent guy. Perhaps the notion of killing someone had more weight than Cappa thought and he had to create “Pinbacker” to rationalize it to himself. Let’s think about how Boyle chose to not show Pinbacker in the same shot as other characters unless he was obscured. It could have been a stylistic choice, but perhaps there is a subliminal message here. All throughout Cappa’s exchanges with Mace, he is talking about the ship, but not the safety of individual crew members. At this point, Cappa is far gone. He stabs Corazon, who is too distracted to notice him, then goes straight to the coolant tanks. Mace has attacked Cappa twice now, overpowering him each time, so Cappa sabotages the mainframe knowing that no one person could fix it without freezing to death. Cappa lures Mace under the pretense that it was all Pinbacker, but at that point, it didn’t matter who did it, because Mace knew if it wasn’t fixed right away they would all burn up. As Mace saves the day, Cappa continues his rampage, even going after Cassie, but she eludes him. It is Mace’s dying words to Cappa that reach him and remind him of his mission. After that, Cappa of course has his whole dramatic escape into the payload, but notice that when he encounters Cassie, she is not excited to see him. Before they can say anything meaningful, the payload has begun to take hits from Sun flares, so Cappa goes on to complete his mission. Alright, now that we’ve left the rabbit hole, take a breather. The inherent good of mankind will prevail over our violent, selfish nature. Space can make you go nuts. Let’s not forget that there are many amazing movies with underwhelming endings. Minority Report is a great sci-fi film with many thought-provoking ideas, but after the entire plot is resolved, the ending tries to be a feelgood Spielbergian resolution which is really lackluster and doesn’t really fit with the whole narrative. Lawrence of Arabia lulls quite a bit in the third act and there isn’t much tension since the main character dies in the opening scene. 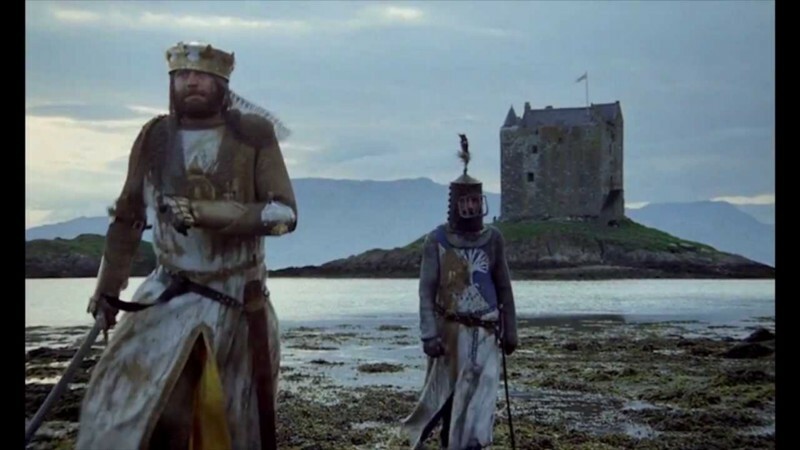 Monty Python and the Holy Grail has some iconic sequences, but it also is full of boring stretches. After some uneven side quests throughout the second act, the narrative culminates in what looks to be a mighty climax: King Arthur assembles a massive army of soldiers to siege a castle and take the Holy Grail, but before they can charge, they all get rounded up by modern police officers because it turns out they are all just crazy. I think if we can cut those movies some slack, there’s a place for Sunshine as a classic too. Follow Quentin on Twitter. Check out my podcast, Movie Musing, for more analysis. Edited by Demetrios Festa. I still think it’s got its problems. But yeah, still pretty thrilling. Nice review.